serving the parishes of Aslackby, Billingborough, Dowsby, Horbling and Pointon with Sempringham. 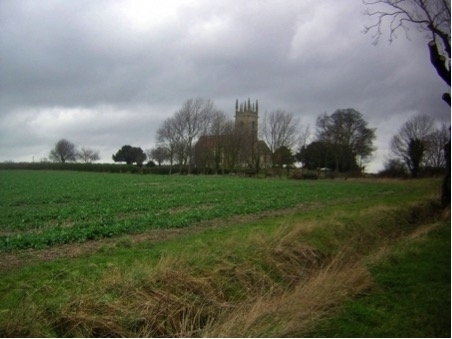 This is the Benefice where St Gilbert, the founder of the only purely English religious Order, was born in 1083 in the village of Sempringham. Other interesting facts about our Benefice include the fact that Aslackby was a centre for the Knights Templars. Michael Ramsey, Archbishop of Canterbury (1961-1974) was baptised at Horbling. Two Pugin monuments can be seen in Horbling Church. “Most of the time at church we are like a big happy family. However even in very happy families people can have a bad day and even people we know and trust can upset us. We want to help everyone have good days all of the time. We try to make sure that people who have jobs in the church always behave well and in a way that is helpful to you. We never want anyone or anything in church to frighten you, confuse you or worry you. It is important that you tell us if something is upsetting you or if you are feeling worried about something that’s happening or something somebody is doing. We have specially trained people who you can talk to and who you can ask for help. These people are good at safeguarding. This means they look after everyone’s safety. Caring for people is a very important part of our Christian life. ). If you wish to speak to someone outside the church you can contact the diocesan safeguarding team – their contact details are available here. There is also information there about other places from where you can get help or advice.